My Tour de France with my Cafe Racer is over. I uploaded most of the Photos of my epic roadtrip on my Google+ Account. Project still in progress. Bike’s almost done, helmet and moto gears are bought. 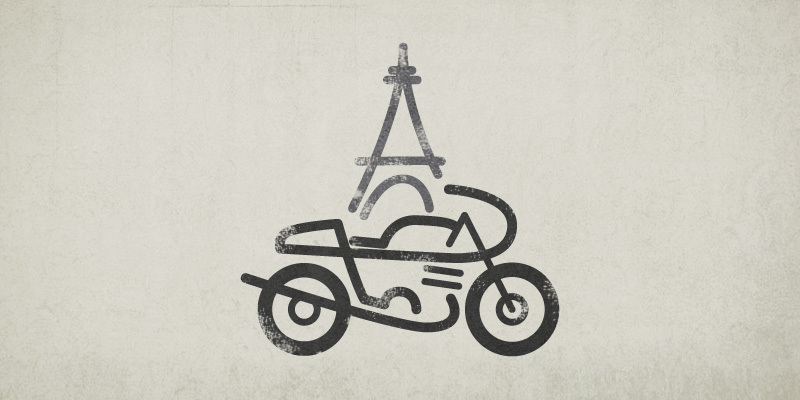 Vector Illustration made with Adobe Illustrator CS5 for my project of The “Tour de France moto”. I am short in time but hope everything will be a’ight. A quick illustration for a project that I really want to do.